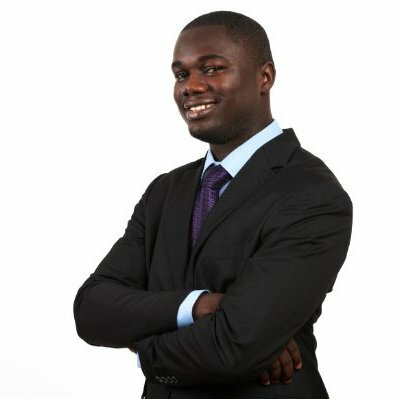 Emmanuel Owusu Addai is the CTO and Co-Founder of Farmerline. He is responsible for the overall technology and product strategy of the organisation. Emmanuel has previously served as a Field Surveyor, GIS Developer and Consultant on multiple major national projects, including the Presidential Special Initiative (PSI) on Oil-Palm Plantation and Setting-Out of the Affordable Housing Project in Ghana. Emmanuel has also founded and worked within several technology start-ups in Ghana including iCottage Networks, a company he founded in the final year of his postgraduate studies. He holds a Bachelor’s Degree in Geodetic Engineering from the Kwame Nkrumah University of Science and Technology and a Master’s in Geomatic Engineering (Geodesy option). He is a 2014 Echoing Green Global Fellow and has over 5-years of experience in mobile and web technologies.